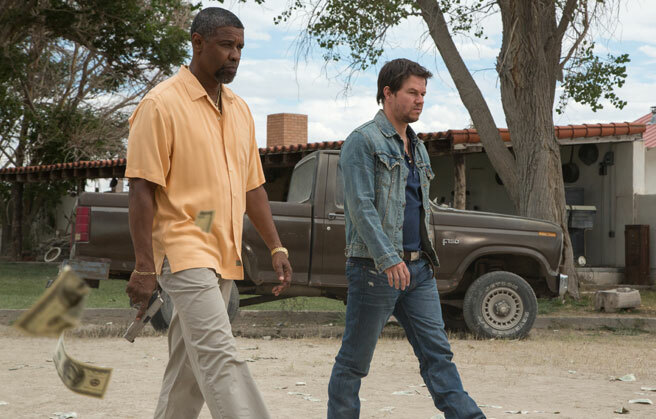 The movie 2 Guns starring Denzel Washington and Mark Wahlberg: trailer, clips, photos, soundtrack, news and much more! 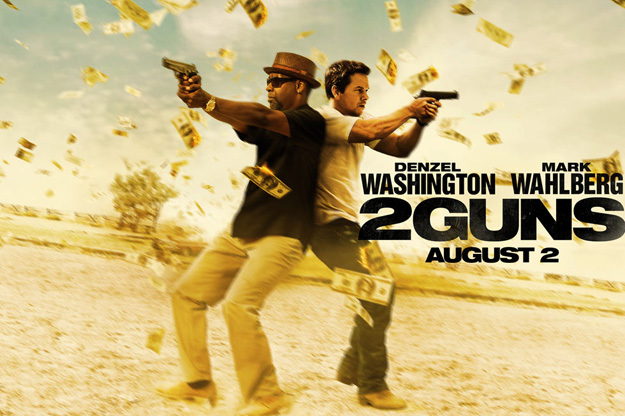 2 Guns – The corner of your eye was twitching. What is the story of 2 Guns? Do Denzel Washington or Mark Wahlberg make for a great team on screen? Share your thoughts below! The film is based on the comic series of the same name by Boom! Studios. 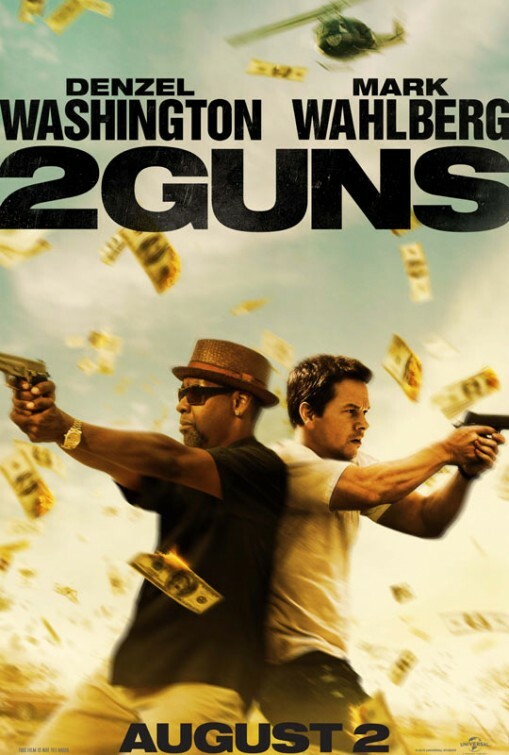 It will hit theaters on August 2, 2013.
Who do you prefer: Denzel Washington or Mark Wahlberg? The film will open in theaters on August 2, 2013. Not the most awaited movie of the year, but still looks like it could be fun to watch. Besides Denzel Washington and Mark Wahlberg, the cast also includes Paula Patton, Bill Paxton, Fred Ward, James Marsden, and Edward James Olmos. The release date of 2 Guns is set for August 2, 2013. They sure don’t look happy on that picture!